The Harbour is host to the premier bars and restaurants in Auckland. In this place, you will get a number of fantastic bars and restaurants which will turn your nightlife experience in Auckland to better than before. After enjoying the fine dining in these premier restaurants, you get a chance to enjoy the fire cocktails in the Snapdragon or explore the ice sculptures in a place known as Freddy’s Ice House. This serves both as a bar and a café. In this place, you will get a modern and a light-filled ambiance enhancing the dining experience. At Latitude 36, you are exposed to a wide variety of modern cuisine that is designed in such a manner that they can satisfy any palate. In this place you will get one of the best-kept secrets of Auckland. The restaurant is designed in such a manner that it is capable of exuding charm and flavour in a number of ways. This makes it the best place for dining. 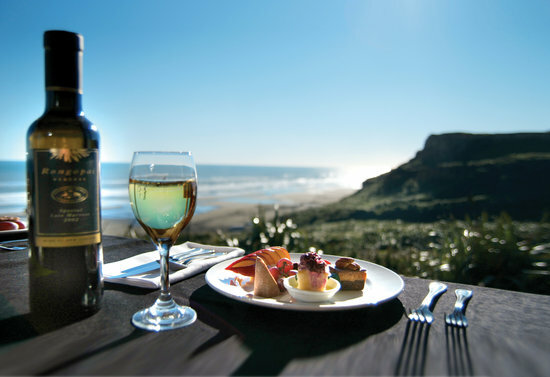 It is growing to be one of the foremost restaurants in Auckland because of its high-quality standards and exceptional services. This is amongst the most iconic locations in Auckland. It gives you a chance to explore a number of fantastic bars and restaurants. This is the main reason why many people keep visiting it from one time to another. You will get people from various parts of the world enjoying the fine cuisine as they are watching the superyachts. At High Street, you enjoy both fine dining and fine shopping. You will get many fantastic restaurants in this place, offering delicious meals while keeping the fussiest dinners happy. The most modern bar is situated in this place and is accompanied by a modem twist. This makes it a popular place for many visitors – and locals, too. Mid-City gives myriad dining options to select from. Its strategic location next to the famous cobbled stone lanes of Auckland enables it to provide the best dining experience in town. Moreover, Mid-City provides a unique take on modern cuisine. Get budget-friendly options, a distinctive menu, Orbit Revolving Restaurant views and fast food at the fantastic restaurants in Central CBD. At this place, you get access to all the premier bars where you will enjoy a wide variety of wines and cocktails.